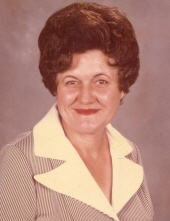 Dixie Worrell Barwick, 96, passed away peacefully on Monday, March 25, 2019 at her home. Dixie was born in Wayne County on September 18, 1922, one of eleven children, to the late John Morgan Worrell and Blanche Smith Worrell. She was married to the late John Carter Mozingo and Roy Barwick. For many years, Dixie sold vegetables at the Farmers Market in Goldsboro. Dixie was the rock of her family, her husband and children knew that she loved them with all her heart and truly was a blessing to them. The family will receive friends on Wednesday from 6:00 – 7:00 p.m. at Seymour Funeral Home followed by a service to celebrate Dixie’s life at 7:00 p.m. in the chapel. Interment will be at 11:00 a.m. on Thursday, March 28, 2019 at Fairview Cemetery in LaGrange. Dixie is survived by her daughters, Diane Thompson, Dolly Moore and Debbie Grady, all of Goldsboro; son, Roger C. Barwick of Leland; four grandchildren and five great-grandchildren. To send flowers or a remembrance gift to the family of Dixie Worrell Barwick, please visit our Tribute Store. "Email Address" would like to share the life celebration of Dixie Worrell Barwick. Click on the "link" to go to share a favorite memory or leave a condolence message for the family.